In order to remain competitive within a specific industry and capitalize on local traffic, leading SEO agencies analyse six costly mistakes small businesses should avoid. Cardiff, United Kingdom – July 8 2015 – According to reputable outlets operating within the Search Engine Optimization (SEO) marketing sector, it is important that companies focus on not only the best online marketing tactics but also avoid “costly mistakes” in order to remain competitive within their industries and capitalize on local traffic. It is widely accepted that there are six major “local SEO” mistakes to be avoided in this regard: Posting “thin” content, listing the wrong “NAP” (Name, Address, Phone) information, not using page title tags, failing to invest in “inbound links,” not seeking social reviews and ignoring niche directories. 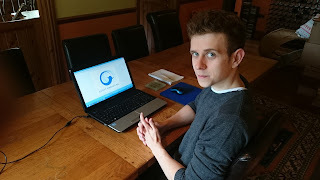 Based on information and data collected by such professional SEO agencies such as the UK’s Ghost Marketing, headed by 21-year-old entrepreneur Tom Buckland, few aspects of Internet marketing undergo as much rapid and ongoing change as search engine algorithms and local SEO techniques. “By staying current with recent trends and continually educating oneself regarding what does and doesn’t work, members of the SEO marketing community can ensure they always make the right decision,” says Buckland. Further, while many SEO marketing agencies across the globe attest that there are potential mistakes around every corner, an overly cautious marketer won’t be a successful marketer – instead of worrying about factors they can’t control, say experts about Search Engine Optmisation company owners, they should work on factors they can. This includes focusing on posting content that’s easily sharable and relevant to an industry, ensuring NAP information is complete and accurate, checking that a title tag isn’t relegated to default terms like “home or “about us,” understanding the value of attracting inbound links, encouraging clients and customers to leave reviews on Google+/Foursquare/Yelp and not ignoring niche directories. “All it takes is looking at a few of these errors to help keep SEO operatives on the right path,” concludes Buckland. The brainchild of 21-year-old entrepreneur Tom Buckland, Ghost Marketing is a UK-based SEO consultancy/freelance consultant agency providing high-quality Search Engine Optimisation services to local and national businesses without the “fluff” normally associated with this industry. Buckland acts as a freelance-based SEO consultant focused on the promotion of businesses primarily in the United Kingdom, while also pouring his time and resources into other London-based agencies he is involved with. Ghost Marketing is headquartered at 132 Ely Road, Llandaff, Cardiff, CF5 2DA and can be reached by calling 07766 783396 or emailing tom@ghostmarketing.co.uk. For more information visit www.GhostMarketing.co.uk, www.SEOOasis.co.uk and www. http://seooasis.co.uk/tom-buckland/. Photos and Media Pack: High-res images available on request.